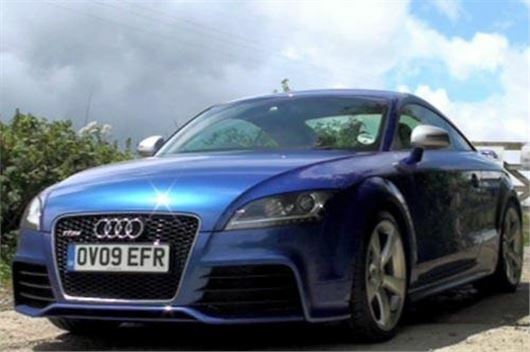 According to Glass's Guide, the Audi TT sold faster than an other used car in March, judged on the basis of how long they averaged up for sale by on-line retailers before they sold. Second fastest seller, now we're into Summer Time, was the Citroen DS3 Cabrio. Strangely, the relatively few examples of the Nissan Pathfinder that came up for sale has also been selling fast, closely followed by the similarly rare Hyundai Coupe. Fifth fastest was the Mercedes Benz ML. At the other end of the scale, used Nissan Leaf, Suzuki S Cross, Mitsubishi Mirage and Renault Scenic have remained relatively solid features of forecourts, with the Vauxhall Cascada slowest seller of all. Glass's explanation for that is that the Vauxhall Cascada suffers from "an almost non-existent image", while the Nissan Leaf is "excellent but simply currently in oversupply." Glass's 'Hot Five' is based on 300 models, all of which have been subject to more than 50 price observations over a four-week period. The set is then split by range, and an average is determined by the number of days that cars have been advertised on web portals. Published once a month, the Hot Five provides insight gleaned from GlassNet Radar, Glass's live retail pricing system that provides up-to-the-minute pricing around the country. This looks at average selling times for used cars based on the number of days that cars tend to stay on the forecourt. Providing the most accurate analysis of retail observations around the country, Radar has been improving profitability for dealers since its launch last year. Happily, long gone are the days when if cars didn't sell the dealer simply left them basking on the forecourt until trees grew through them and oxidation gradually returned them to mother earth.